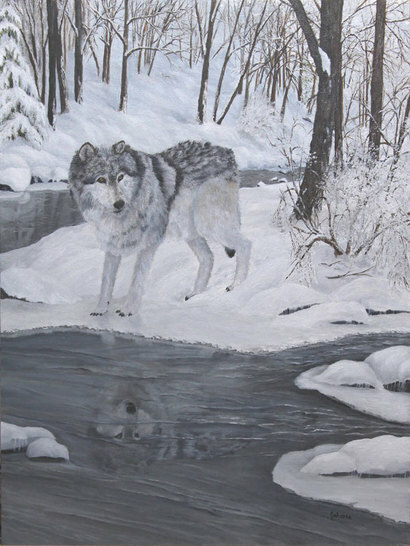 ​Giclee fine art paper and canvas prints of my original painting of a lone wolf coming across a stream. Wolves normally live in packs and yet at times they are dispersed from the pack and is out on their own. Wolves are very territorial and therefore a lone wolf has to be very cautious not to tread into their territory.